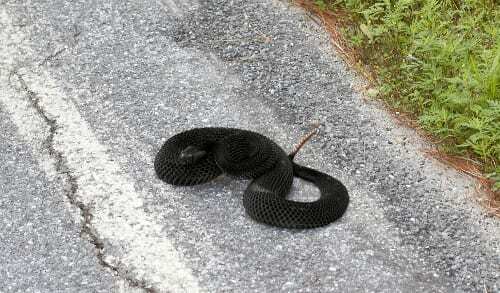 Timber rattlesnake on Lake Shore Road. Photo by Seth Lang. Crown Point photographer Seth Lang was driving on Lake Shore Road between Wesport and Essex yesterday when he spotted a large timber rattlesnake in the road. Timber rattlers are a threatened species in New York State. This specimen was all black. Lake Shore Road borders Split Rock Mountain, which is thought to be the northernmost habitat of the timber rattler. 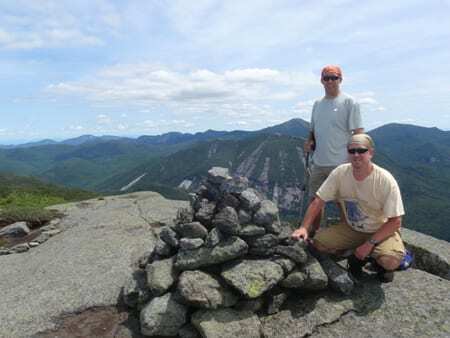 In the Adirondacks, the snakes also can be found on Tongue Mountain and other spots around Lake George. Timber rattlers range as far south as Florida and as far west as Texas. 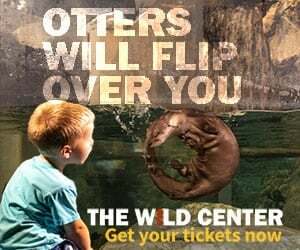 The state Department of Environmental Conservation notes that timber rattlers usually are three to four and a half feet long, so the one Seth encountered was larger than average—unless his eyes deceived him. Bill Brown, an expert on timber rattlers, says the snakes rarely grow larger than four feet. “Anybody that sees a four-foot timber rattler thinks he saw a five-foot snake,” he said. Brown said the Split Rock population is unusual in that all the specimens are black. Except for a tiny population in New Hampshire, other populations in the North are made up of black snakes and yellow snakes (with crossbands). In the South, there may be more color variations. A biologist who has studied timber rattlers for more than three decades, Brown attributes the uniformity of the Split Rock population to the “founder effect.” It is supposed that all the founders of the population were black, and no yellow snakes contributed to the gene pool. 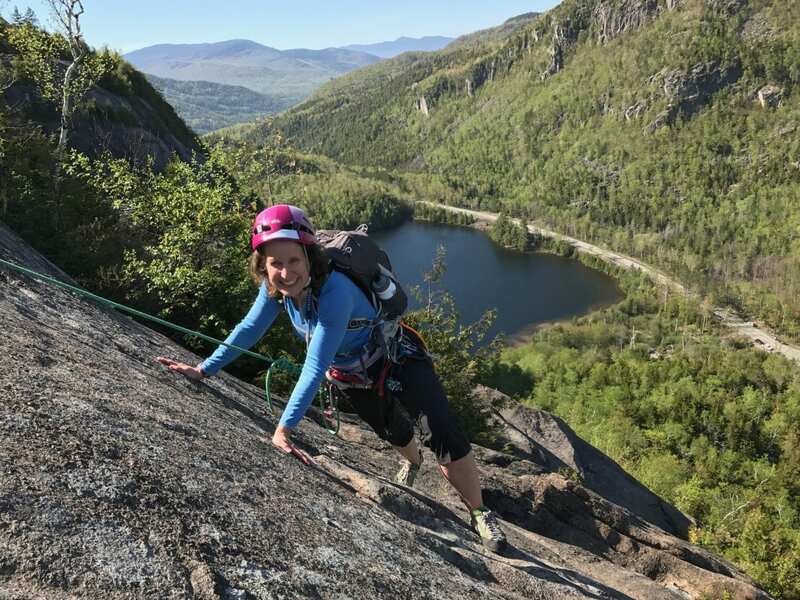 Essex County, where Split Rock Mountain is located, once offered a bounty on the venomous snakes—which led to a steep decline in their numbers. How is the population faring these days? I found this article very interesting because I live near Buck Mountain and sleeping Beauty in Fort Ann. My house is in the adirondack park and I see a handful of Timber rattlesnakes every summer. This Year i have seen more then a few, a lot more. Most of these are small ( a few feet long) but last week I did see a very large rattler that was crossing the road. I have often wondered why the state does not post this area with cautionary signs for walkers, hikers or Bikers to warn them of the rattlesnakes. I am really surprised no one has been bitten up here with the number of rattlers I have come across this summer alone. 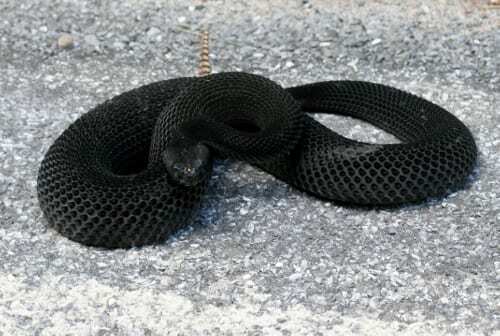 Also, I have seen these snakes in black like the one pictured above and I have seen them in the more yellowish color. I have seen about a handful in the lighter color and typically they only coil when extremely disturbed by a passing car, ect. I have heard them rattle many times and we stop to observe them froma safe distance. I would say by the amount of the Rattlesnakes i have seen over the past 8 years I have lived here that the rattlesnake population is doing very well. Lisa, thanks for sharing your firsthand knowledge. Perhaps it’s not so surprising that hikers are rarely bit, as the snakes avoid people and bite only if they feel threatened. Those are some beautiful photos. I had always thought Rattlers were brought to Tongue Mtn by someone. I didn’t realize that it’s actually (barely) within there natural range. Thanks Harvey! I wish I got a shot of it stretched out, but as soon as I drove up it coiled up. I’ve always wanted to see a Rattlesnake in the Adirondacks, it just goes to show things happen when you least expect them. A beautiful site indeed. Nice pictures and information.I’ll hike these trails on snowshoes. I have been fortunate to have seen a couple of Rattlesnakes on Tongue Mt, over the years. They blend in to their surroundings so well that they are very hard to spot. 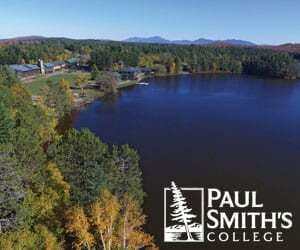 Wasn’t there a death from a rattlesnake bite a few years ago (Spring of 2007 or 08) at Minnawaska State Park, outside of New Paltz? I recall reading where a bicyclist spotted one on one of the carriage trails and while pointing it out to his fellow riders he was bitten. I thought he died from the bite. Does anyone else recall this incident? Tom McG., I hadn’t heard about a death in Minnewaska. A quick google came up empty. Does anybody know anything about this? The DEC fact sheet no doubt was written several years ago, before the dates you mention. If there was a death, it obviously has not been updated. Nice story. I’ve seen timber rattlesnakes in the Tongue Mt. range and in the Berkshires. They were quite beautiful and very non-agressive. I came upon one at Minnewaska on 09/13/10. He/she was at the edge of a trail, on a rocky ledge overlooking the south end of Lake Awosting. I was on my bike and before realizing it was there, I thought I may have had something caught in the spokes of my bike. The rattling was best described as a very loud buzzing. It was coiled on the ledge just off the trail. It stopped rattling after about twenty seconds and remained fairly still as I snapped off a few pictures with my Blackberry. Not a long snake, but very thick. I spend a lot of time at Minnewaska, both on the carriageways and foot paths. This is my only sighting. Very cool experience. My family almost stayed the night on Little burgess island just last night. We came across a rattle snake that clearly let us know of it’s presence. It is a one site island and very small. I was not willing to share it with the snake. It was just about 4 feet long and had the dark stripes. Colleen, that’s a good question. I have read that, as a rule of thumb, rattlesnakes live only as far north as the oaks. In the Adirondacks, oaks are found primarily in the southern Adirondacks and Champlain Valley. What oaks have to do with anything I don’t know. Timber rattlers thrive on small rodents, chipmunks, Red squirrels, grey squirrels and the like(including other snakes). They are opportunists, Small snakes eat smaller prey… The oaks and beechnut crops keep these small critters around. Young turkeys can be added to the diet also. The den areas are generally lower elevation because the snakes must get below frost level. The den areas (rocky steep)have been used for generations and the the snakes are habitual and usually don’t leave the area. Males may stray the farthest but will always return to the same den to hibernate. 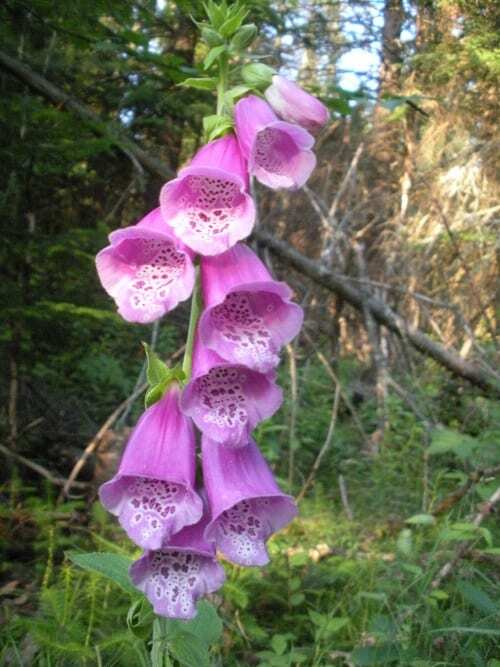 In the spring when you encounter one there is a high probability that there are others very nearby and that you are near a den area Be alert when you walk off the trail to avoid the snake. I am quite surprised more people aren’t bitten as they are not prone to slithering off to safety and many are very hard to spot. They are slow, relatively sluggish and especially if they have recently eaten, or it has been cold (that’s the reason they are out in the open sunning, aids in digestion) They will be very reluctant to move. If you should encounter one give them very wide berth. Snakes getting ready to shed can be a bit testy as the eyes will be covered by the old skin and will strike at movement if they can’t ID the threat. Hiking in these areas with your, dog even on the leash, like they are supposed to be, is a big risk. Dogs usually get bit in the face. They remind me of the puff adders I have encountered in Southern Africa, slow and always right where people want to walk. I have only seen them in NYS on one of the LG Hague Islands(Lene Lenape) many years ago (35) When camping with a group of Explorer Scouts. I spend a lot of time hunting quail in FL and the Eastern Diamondback is the predominate rattlesnake there and they pose a greater threat than the rather obscure Adirondack variety , although timber rattlers are found there. They are not protected there and usually end up in the frying pan. Quite good. Just give the NY serpents a healthy amount of respect and common sense and they will give you no problems. Hikers in NY probably stand a better chance of being struck by lightning than bit by a snake.